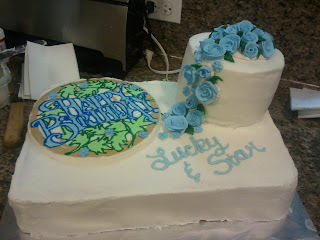 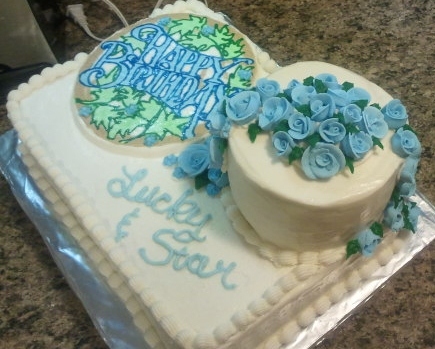 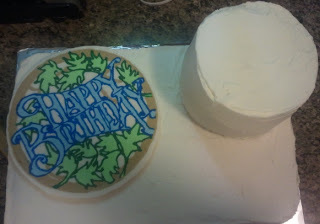 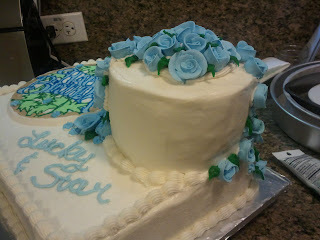 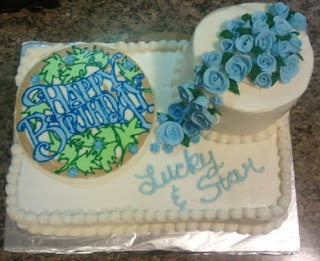 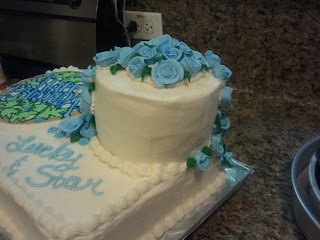 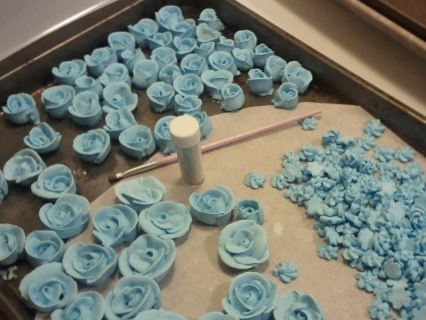 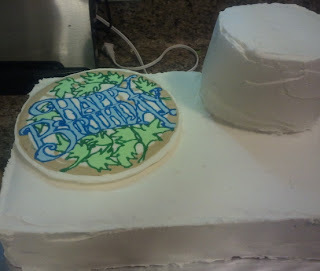 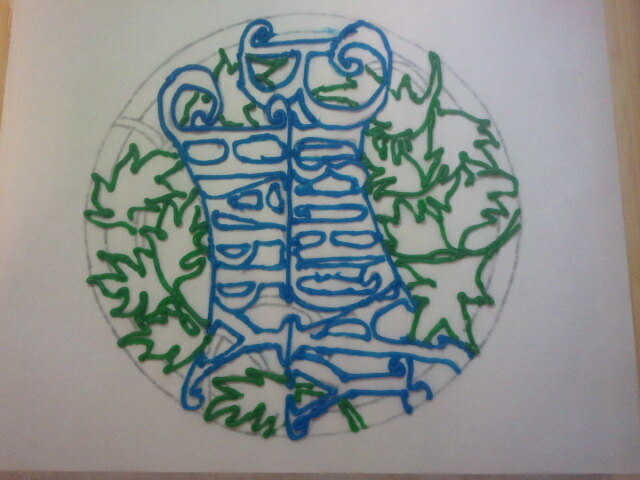 Buttercream frosting, royal icing flowers and frozen buttercream transfer. 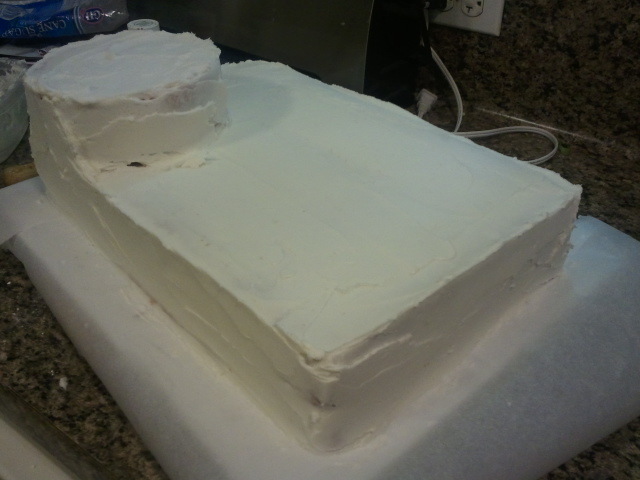 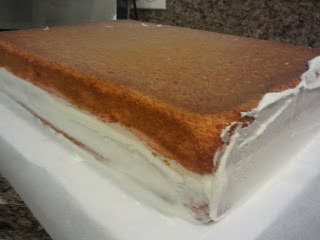 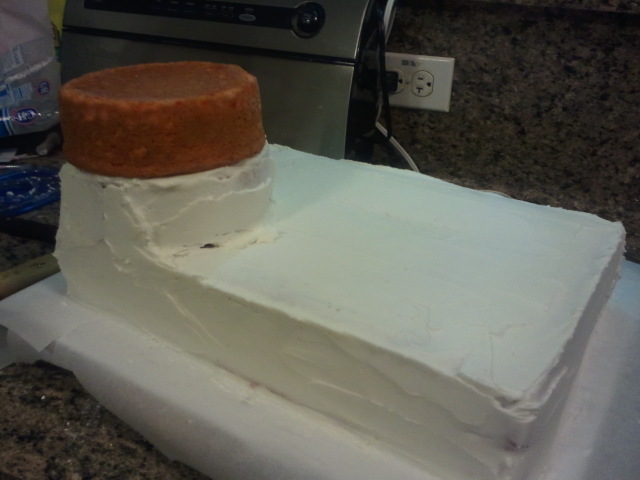 2 layer 10x15 cake with 2 layer 6" tier. 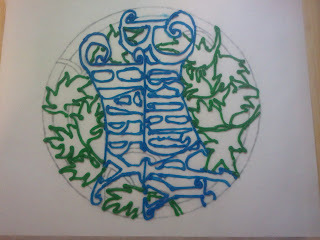 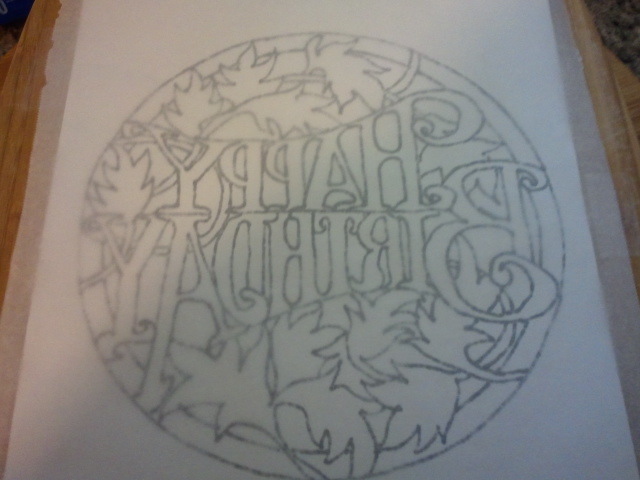 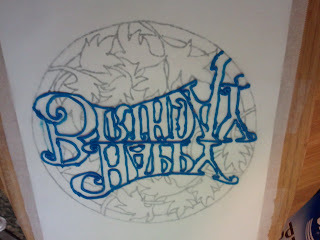 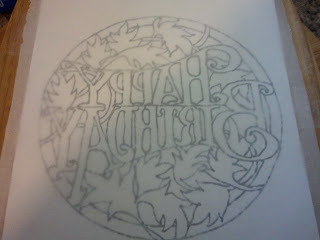 The transfer was fun and can be done in almost any design.